Looking for a new escape? Hop in your RV and hit the road! There are thousands of different RV parks across the U.S. that are great spots to get outside, relax, and have some fun. Whether you’re looking for a bare-minimum hookup or a luxury park with pools and beaches, here are 10 of the best RV parks around the nation that are perfect for your traveling needs. When planning a road trip, it’s important to remember that you don’t have to plan a completed detailed route or itinerary. 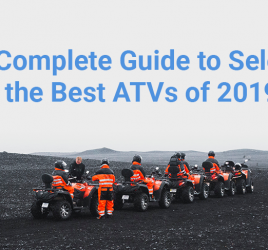 Even if you do, you don’t have to follow it to a tee, and that’s the beauty of RV travel! If you’re just starting out on your RV adventure and want to go full-time, check out our Beginner’s Guide to Full-Time RV Living: 8 Ultimate Tips for Life on the Road to help get you started on your new minimalist lifestyle. Even if you’re not looking into full-time RV living, they are great tips for trips on the road! You may live by some of these areas where you can take a nice weekend trip, or perhaps you’re planning your 2019 or 2020 summer road trip and want to get some ideas. Either way, we’ve rounded up 10 awesome RV parks in the U.S. When choosing an RV site there are many factors you should consider. Not only do you have to decide on the size and location, but you have to think about the hookups you’ll need as well. To make things easier, we’ve done the research for you. 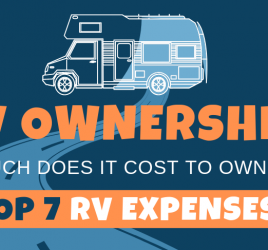 Here are some things you should think about before reserving your next RV site. Level Ground. Is the ground flat or uneven? Although hills are beautiful, you don’t want to set up your camper on uneven ground. Try to find somewhere level to make your time more enjoyable (and less lopsided). Site Parking. Do you want to back it in or pull it through? As you can guess, pull through spots are easier, but you might have to settle for a back in depending on how you prioritize all of these factors. Site Hookups. What kind of hookups will you need? Some campgrounds offer only electric, only water, or both without the sewer connection. Make sure you determine what hookups you will need, and what type of hookups you’ll be getting before you make your reservation. Site and Campground Location. Where do you want to be? Back in a wooded area, a lake view, or perhaps a spot near the restrooms? Many campgrounds will take requests for site locations ahead of time, but it’s not always guaranteed. Some other things to consider are if you can access Wi-Fi from your site, and whether or not you’re close to the activities and amenities offered at your campground. No matter what you’re looking for, there’s a spot for you at 10 of the best RV parks in the U.S. There are two different types of RV parks: regular and luxury. Besides the price, let’s take a look at how they compare. Regular RV Parks: Any decent RV park will have hookups, bathrooms, and maybe a playground or a few things for the kids to do. Some resorts may even have a pool and a few other activities. Luxury RV Parks: At luxury RV resorts you can find additional amenities like spas, fancy clubhouses, community fire pits, golf courses, and so much more. Needless to say, at luxury resorts, you get what you pay for, and that includes the views! First, let’s talk about National Parks. With 59 national parks filled with America’s awe-inspiring natural beauty, you have to get out to see it for yourself! It’s no wonder why we have 3 of them on our list. What’s better than a trip to the Rocky Mountains? Seriously. Yellowstone National Park in Montana is the world’s first national park and one of the world’s greatest RVing destinations in the U.S. With 12 campgrounds and a wide variety of amenities and activities, you can explore mountains, forests, and lakes, and watch wildlife. Yellowstone is surrounded by national parks, so be sure to pass through Rocky Mountain National Park and Grand Teton National Park on your way for some more spectacular views! There are only 10 RV-accessible campgrounds in Yosemite, so check campgrounds for facilities and amenities early (and we mean early!). There are also no electrical, water, or sewer hookups, here, so make sure to plan accordingly. All food in Yosemite needs to be stored securely to keep away from bears. 13 miles from the south entrance of Zion National Park, this RV resort has full hookups, concrete parking, grills, AND free WiFi. After exploring the red sandstone cliffs at Zion, you can head out to Bryce Canyon National Park and the north rim of the Grand Canyon for even more awesome adventures. Rated as our best midwest RV park, all types of RVs are welcome at this family-friendly resort. There are hookups available, a pool, showers, and WiFi! The Petoskey RV Resort is a well-maintained and gated park with a clubhouse, fitness center, game room, and a 9-hole putting course. Located in northern Michigan, it’s just minutes from beautiful Lake Michigan, and close to awesome cities such as downtown Petoskey, Traverse City, and Sleeping Bear Dunes, one of Northern Michigan’s greatest attractions. Looking for a great RV park on the beach? We decided to combine two awesome Key West parks into one to show you just how incredible the tropical Florida Keys are. Both have miraculous waterfront and beachfront campsites with hookups and pools for you to enjoy and they are also great for fishing, boating, and watersports. The Gulf State Park Campground is just 1.5 miles from the white sand beaches of Alabama’s coast. Offering full hookups paved pads for parking, the campground amenities also include air-conditioned bathhouses, a camp store, laundry facilities, a swimming pool, tennis and pickleball courts, horseshoes, volleyball, a nature center, and fun weekly activities! Traveling with kids? We’ve got the perfect place for you! Yogi Bear’s North Texas Jellystone Park is the perfect spot to keep little ones entertained. Better yet, it’s just 20 minutes from Fort Worth and 50 minutes from Dallas if you’re interested in venturing off to the city. But, you might think twice because the Texas RV park has a wide variety of activities like dance parties, a water park, hayrides, laser tag, pools, and more! Standard sites are available if you want more traditional camping, but they also have extra large sites with full hookups, grills, fire pits, and patios for the whole family to comfortably enjoy. As Montana’s #1 rated RV park, Polson should definitely be on your travel list. Guests can enjoy majestic views of Flathead Lake and The Mission Mountains, or take a short drive to Glacier National Park for more exploring. With hookups and amenities, motorhome owners can rent an RV site for a single night, a month or even stay forever, by purchasing an exclusive Class A ONLY RV site! Take your pick. Enjoy all 4 seasons at Mountain Falls Luxury Motorcoach. Located in the in the beautiful mountains of Western North Carolina, the Lake Toxaway area is unparalleled for scenic mountains, waterfalls, lakes, streams, parkland, and amazing climate. Amenities include tennis, pickleball, bocce ball, a fitness room, two pools, spas, WiFi and so much more. Located in the Choestoe Valley area and near the Chattahoochee Forest and Georgia’s Blue Ridge Mountains, relax in the tranquility of its lakes, rivers and waterfalls at River’s Edge RV Park in Blairsville. With 117 privately owned sites, amenities include large privately owned lots in the area, a pavilion with a fireplace, laundry facilities, and clean restrooms with showers. Itching to travel now? Just remember to make your reservations and do your research ahead of time to ensure you will be getting what you need at your campsite. When navigating your road trip, we recommend using Google Maps in RV mode, Allstays, or any other RV GPS navigation unit (or app) you can get your hands on. Just remember you should always have a backup plan in case you run into problems with your technology! 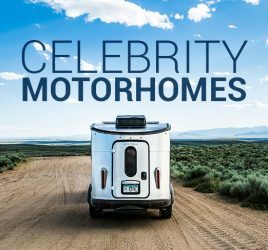 Looking for an RV? SEARCH OUR NATIONWIDE INVENTORY. Have fun on your next road trip! 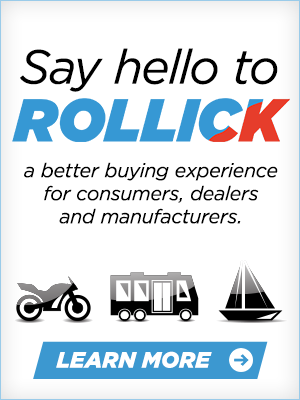 Get access to buying tips, vehicle reviews and updates on available incentives.